3 Lip Balms That Are So Buttery That You Could Spread Them on Toast! 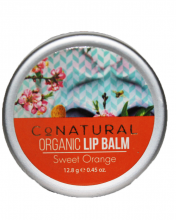 Lip balms can be really fun to play with if the formula is extra moisturizing and smells great too! It makes a perfect recipe to light up your day and the feeling is literally out of this world. After all, who doesn’t want super moisturized lips that look as delicate and attractive as the petals of a rose. Includes Rose essence, honey, Almond oil and beeswax. Vitamin E from the almond oil helps to keep the lips supple and youthful. Can be applied underneath lipstick for added moisture. Now you are just these lip balms away from ultra moisturized lips. Let us know your thoughts in the comments.